Facebook, Instagram, Twitter, Snapchat – Do You Need Them All? Social media for business is no longer optional. You can be sure that most of your customers are active on social media. There are, however, many sites from which to choose. 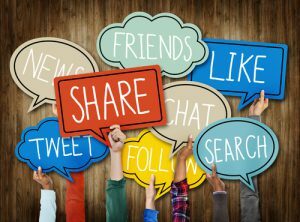 Let’s look at some of the most popular social media platforms for business so you can make a better decision about whether or not you need to use all of them. At 13-years old with around two billion active users, every business really needs a presence here. While certain sites are more specialized, Facebook is extremely broad and used by almost everyone today. Facebook also provides many options for marketing and engagement. Organic content, as with your Facebook page and daily posts is free. Paid advertising with Facebook ads provides many targeting options, making it relevant to every type of business. Twitter, though not as large as Facebook, is large and popular in its own right with more than 300 million users. Twiter is one of the best sites for communicating timely news. Indeed, many people share breaking news with their tweets. It does have a couple of limitations, though. The shortness of messages and the speed at which the feed moves means that it’s hard to ensure people are actually seeing your tweets. On the other hand, Twitter recently expanded the maximum number of characters from 140 to 280 characters, though it remains to be seen if this is permanent or just a test. Twitter also provides advertising options as with sponsored tweets. You can leverage Twitter by seeking relevant people to follow, joining groups and chats and posting live videos. Instagram, which is owned by Facebook, is a fast-growing visual platform with close to 700 million users. Instagram is a mobile-based service with a young user base. Instagram is especially useful if your business has products or services that can be depicted in an appealing way with images. This includes physical products as well as anything in the hospitality industries such as travel and restaurants. With appealing features such as photo filters and editing options, Instagram encourages users to express their creativity. If your business uses Instagram, it’s helpful to engage with followers and encourage them to submit their own photos. Instagram advertising works under the Facebook platform, so it’s easy to integrate a marketing strategy that combines both sites. Like Instagram, Snapchat is a platform that’s made specifically for mobile. Snapchat is especially popular with teens and millennials. The distinctive feature of Snapchat is that content is only visible for up to 24 hours. Creating Snapchat Stories is useful if you want to create excitement with a promotion or live event. You can also leverage the Geofilters feature, which lets you associate your content with a specific location. The Snapchat app has gradually expanded to include chat, messaging, image storage, events and media content. Snapchat is a powerful social media platform for presenting timely content that can be showcased with images and video. Do You Need Them All? Do you need to be on all of these social media platforms for business? The answer really depends on your business and the demographics of your customers. Facebook and Twitter are sufficiently large and broad that you could use them for any type of business. Instagram and Snapchat, meanwhile are more limited in that they’re geared to mobile and are image-based. One issue we’ve found with many business owners who engage in social media marketing is they are not consistent with using these free marketing platforms; meaning they start an account and post a few times and then don’t post again for a while. Consistency is key. If you’re not certain about how to best use social media for business, the best approach is to test your results on different platforms. Facebook, Twitter, Instagram and Snapchat can all be very useful for marketing. The key is to find the sites that perform best for you and devise your own unique strategy for engaging with your followers. If you’re looking to grow your business and need capital to help your growth plans, find out how invoice factoring can help you accomplish this goal.